If you've been reading my blog for a while, you probably know that I'm a bit of a skincare junkie. As much as I adore makeup, I'm a firm believer in putting my skin first because if you don't have a smooth, even base your makeup isn't going to look the best that it can. That's why I tend to invest a bit more in my skincare routine and I believe it's definitely paid off. 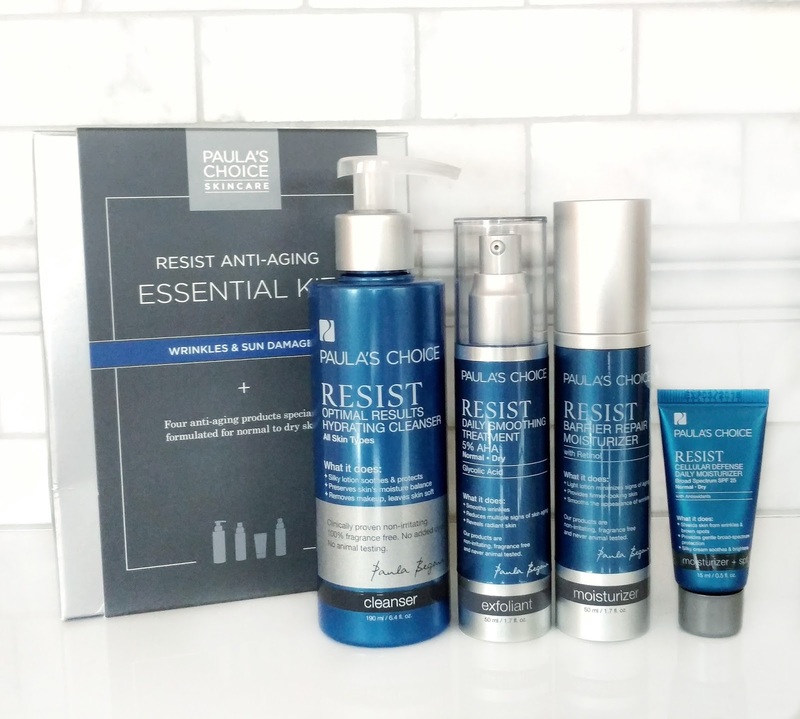 I have always heard great things about Paula's Choice skincare and I was introduced to their 2% BHA Liquid Exfoliant in a sample kit back in the fall. I fell in love with how smooth it made my skin and it's become a staple in my routine ever since. That's why I was really excited when Paula's Choice asked me if they could send me some more products to try and review for you here on the blog. Please keep in mind that even though these products were sent to me, I will be giving you my honest opinions, as always. 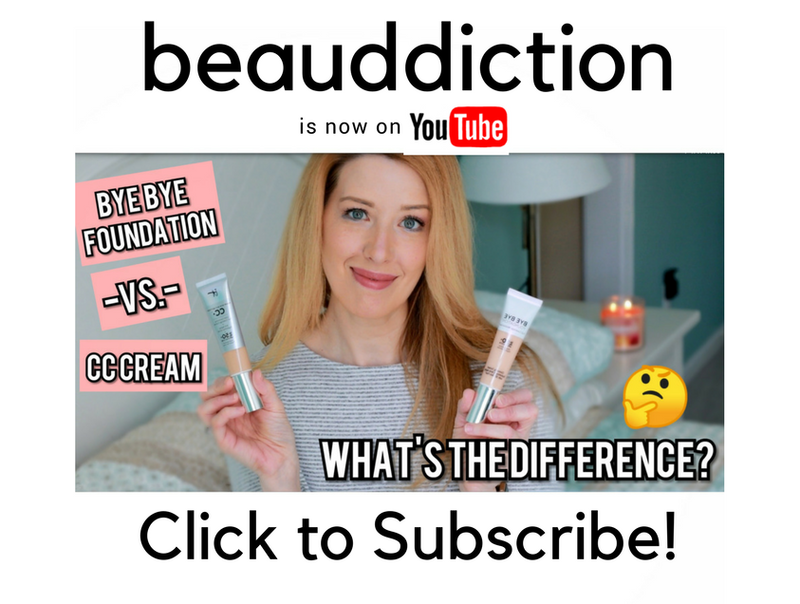 Paula's Choice was founded by skincare expert and best-selling author, Paula Begoun (if you've ever looked up reviews on Beautypedia, she is the founder of that website as well). 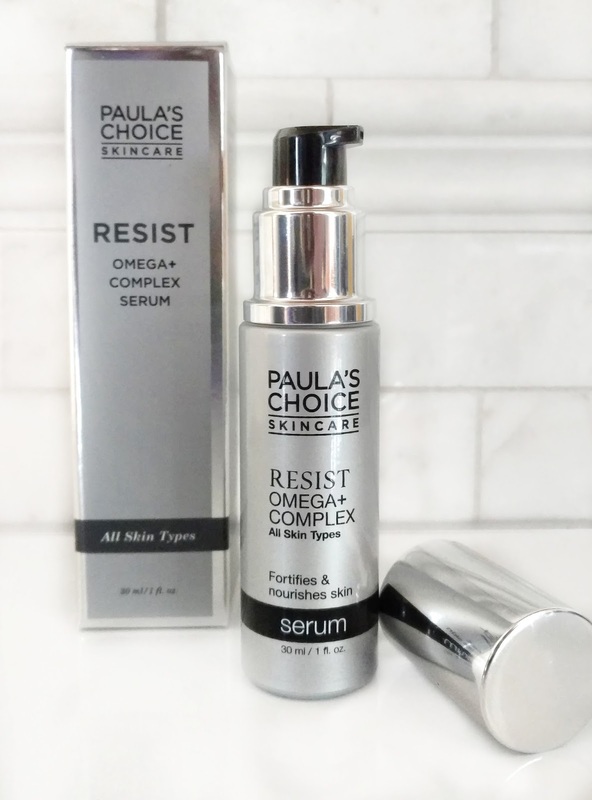 She has dedicated herself to educating women on cosmetics and skincare, and one of the things I love most about the Paula's Choice line is that they have a very scientific approach when it comes to their products...they're not all about the hype. They carefully select ingredients that have been proven to work and make sure not to add irritating ingredients such as fragrance or dyes. Everything is made in the U.S.A , is cruelty free, and comes with a 100% money back guarantee within 60 days. The Paula's Choice website features a wealth of information and expert advice about putting together a skincare routine, as well as the individual products and ingredients. You can also chat with an expert or schedule a free personal, no obligation consultation over the phone which is really amazing! Before they sent me the products, I filled out a questionnaire so that they could tailor a routine to my skincare needs and concerns. I thought that was so considerate of them and I really appreciated that they took the time to understand what I was looking for, rather than just sending me a random sampling of products that may or may not work for my skin type. Next, I'll go through the products I was sent, and talk about each one and how it worked for me. Paula's Choice offers several different kits depending on your skin type and needs. In the questionnaire I filled out, I mentioned that I have some fine lines and wrinkles forming (I'll be 40 this year) and also some sun spots, and those are the two concerns this kit focuses on. It comes with four full-sized products (the small moisturizer in the photo was one of four that came in the kit...4 of them equals a full sized tube. The new kit that is currently offered comes with one full-sized tube). I think that the price is very reasonable for 4 full-sized products...it works out to $23.50 each which is inexpensive for the high-quality ingredients and formulas you're getting. I also want to mention that everything in this kit is completely unscented for those of you who may be sensitive to fragrance. 1. Resist Optimal Results Hydrating Cleanser - This cleanser is heavenly for dry skin! It feels like a silky lotion and is extremely hydrating, yet rinses away easily with no greasy feel. Afterward, my skin doesn't feel the slightest bit tight but it still feels clean. I started out using this both morning and night but I found that while it does remove light makeup well, if I have a day when I'm wearing heavier makeup or eye makeup it doesn't completely dissolve those. So I'm back to using an oil-based cleansing balm at night and this cleanser in the morning (but I do use this at night if I didn't wear a lot of makeup that day). 2. Resist Daily Smoothing Treatment 5% AHA - If you have dry skin, an alpha hydroxy acid treatment is a must. It helps your skin to slough off that layer of dead skin faster so it doesn't look as dull or start to build up those dreaded dry patches that makeup likes to cling to. I use this treatment after my cleanser and it instantly makes my skin feel smoother, but I have also noticed a difference over time. My makeup is applying much better and I've found that I don't always need a primer to smooth out the surface of my skin because it's already so much smoother. I haven't had any irritation whatsoever from this product, even using it twice a day. This formula also contains peptides and antioxidants for anti-aging benefits. 3. Resist Cellular Defense Daily Moisturizer SPF 25- This daytime lotion has actually been discontinued and replaced by the Skin Recovery Daily Moisturizing Lotion SPF30. Both formulas contain antioxidants to fight off free radicals during the day (from the sun, pollution, and the environment). I found it to be non-sticky and absorbed right away, leaving my dry skin feeling balanced and hydrated throughout the day. 4. Resist Barrier Repair Moisturizer with Retinol- This is my nighttime moisturizer and is full of anti-wrinkle ingredients such as retinol and peptides. It also contains hydrating ingredients like squalane, Shea Butter, and Soybean Oil. I'm addicted to this one...it feels so silky going on and when I wake up in the morning, my face feels velvety soft. Even though it contains retinol, I haven't had any irritation or dryness, even thought I'm using it every night. Over the last three weeks, my skin has been looking better and better and I definitely owe at least some of that to this product. This is actually a brand new product that was just released a few weeks ago, and I was really excited to try it out. This serum contains Omega fatty acids 3, 6, and 9 plus skin-identical ceramides to help keep your skin looking and feeling more supple. Omega fatty acids are the building blocks of healthy skin cells and they help to create the oil barrier which is lacking in drier skin types (pretty much non-existent in my case). One of the main functions of the oil barrier is to keep water from escaping so that your skin stays hydrated, plumped, and younger looking. I've been using this after the AHA exfoliant, and before my moisturizer day and night and it has made a huge difference in the way my skin feels throughout the day. Before, my skin would start to feel tight by the afternoon as water evaporated from my skin, but when I'm using this it stays comfortable all day and I don't have that crepey, dehydrated-looking skin on my cheeks. This serum has a thin, milky texture that absorbs right away with no greasy feel and it's unscented. I've read quite a few studies that talk about the benefits of Niacinamide and have been trying to choose products that contain it the past few years. Niacinamide is a form of Vitamin B3 which has been proven to reduce the appearance of enlarged pores, uneven skin tone, wrinkles, and dry skin. Most products I've tried contain a very small amount (a few percent) of Niacinamide so I was excited to see the difference 10% would make! This serum comes in a glass bottle with a dropper, and it is so lightweight, it feels like water. The instructions say that it can be applied to your skin alone or mixed with a serum. I tried using it alone at first, but because it absorbs so quickly I found that I kept having to go back and use more drops to cover my face. I didn't want to go through the bottle too quickly, so what I've been doing instead, is pumping the Omega+ Serum into my hand and then adding a couple of drops of the Niacinamide Booster to it, then mixing them together. The slip of the Omega+ serum helps to stretch this further so that you can cover your entire face with a smaller amount. Over the past few weeks, I have noticed that the pores on my cheeks are smaller-looking and not as obvious, especially when I'm wearing foundation (as it tends to settle into them). It also seems to be more even-toned and bright. I'm excited to keep using this and see the results after a couple of months! I also want to try some more of the Boosters...I think it's such a great idea to be able to incorporate an extra "boost" of an ingredient into your regular skincare routine. 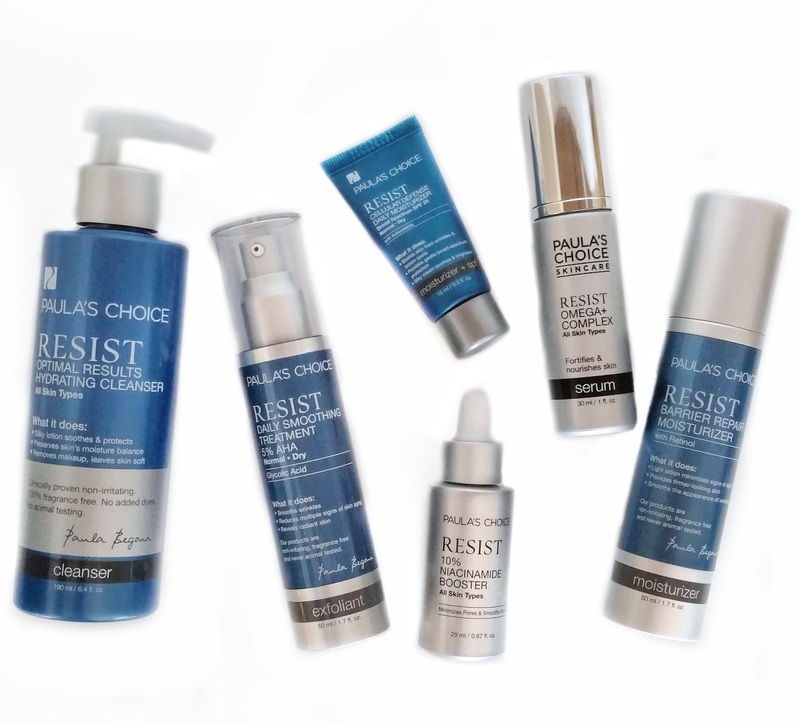 Overall, I am so impressed with Paula's Choice skincare and can't wait to try more from the line. I've seen some great results so far and am loving the way my skin looks and feels right now. I will admit, I was a little bit nervous to try out a bunch of new skincare products all at once but thankfully I didn't experience any irritation or breakouts whatsoever. I also love knowing that the products contain trusted ingredients with proven track records. So if you've been wanting to try a new skincare routine or just a few products to add to your current one, I highly recommend checking out Paula's Choice. The website and staff there are so helpful and are fantastic about helping you choose the products that are going to work the best for you. Have you tried Paula's Choice? I'd love to hear about your experience! I use the Paula's Choice Clear line for breakouts and it is life-changing! It's literally the only thing that has worked for me and I've tried everything from Murad to Proactiv. Great post, I think everyone should give this line a try. I started Paula's choice about 6 months ago through an esthetician at Nordstrom (the only store that actually carries this brand I believe). It has made a dramatic difference in my skin in terms of tone, texture, and overall smoothness. All of the products are gentle, but effective. I highly recommend the 2% Liquid Exfoliant. It is a holy grail. The vitamin C serum is great as well to brighten complexion! I just looked at the site and it's very informative. Did you notice that they even give a little description of what each ingredient does when you look at the ingredient list? Very cool! Maybe I've been living under a rock but I haven't heard of this brand. Right now I get all my skincare at Sephora and have been using Sunday Riley, PTR, Dr. Brandt BUT I will be going to Nordstrom this weekend and will check some of these out. I'm especially interested in the boosters and Omega serum. Thank you for a great post as always! 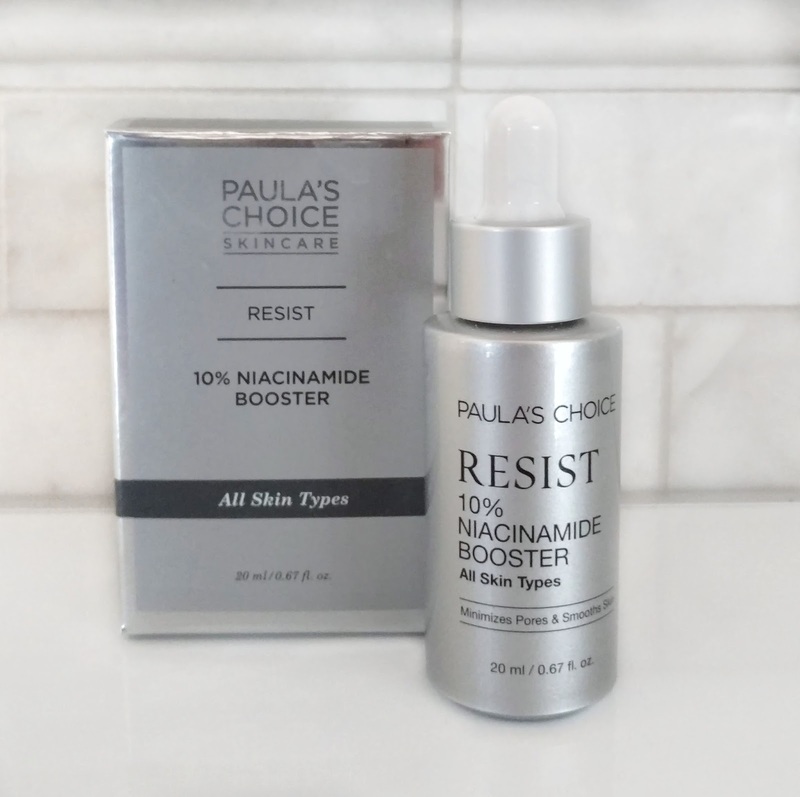 I have considered looking into Paula's Choice but don't know anyone who uses it and I don't always trust reviews on websites. But you have never steered me wrong Jen, I love all your recommendations. So once my current products are gone in about another month or so I will be trying the Resist Kit. First of all, thank you so much...I'm so glad you've liked my recommendations so far! :) And I can't wait until you try the Resist kit...you'll love it! I've been using Paula's Choice for years now. I use many of the products and love all but one product I tried. I use the Clear line for my acne, the Resist UltraLight antioxidant serum and SPF 30 moisturizer, Niacinamide booster, Clinical 1% retinol...the list goes on. I value the scientific based formulas. The stuff just works! Hi Susan, I'm so glad to hear you've had a great experience with Paula's Choice so far. :) I don't know what took me so long to try it but I'm so glad they approached me...I am definitely a believer now and will be trying more products in the future! I've been religiously using PC for years and it's THE ONLY line that works for me. I have combo-oily, acne prone skin with enlarged pores and fine lines for reference. These are my PC faves: Resist Vitamin C Spot Treatment (sends fine lines packing for good as long as you use it), Skin Balancing Oil-Absorbing Mask (moonlights as a long lasting oil absorbing makeup primer during hot and humid summer months if applied in a thin layer), 2% BHA gel (a MUST HAVE to finally get acne under control and give skin that ethereal glow). I'vd been using the 10% Niacinamide booster for over 3 months and noticed better glow and decreased pore size. I find the Clinical 1% Retinol treatment to be extremely helpful in keeping existing fine lines at bay and slowing down development of future ones. Anti-aging eye cream is a total game changer. It keeps the eye area baby smooth and I also use it to heal my kids' chapped cheeks in the winter. Triple-Action dark spot eraser 2%BHA gel with Hydroquinone removes post acne hyper pigmentation within few days if used as soon as the broken pimple heals. Skin Recovery Hydrating Treatment mask is a must have for anyone with dry skin. I gave this to my mom who has dry skin and after one use she said to me "I don't know what you gave me, but I woke up with baby soft skin." I avoid anything marketed for dry skin like the great plague, but I have "borrowed " this mask several times during the winter to heal dry patches on my face and it worked on me as well without ever breaking me out. For healing stubborn dry patches and cracking skin anywhere on the body, try the Lip & Body treatment balm. Sorry for the long post, but this post is a perfect opportunity to tell everyone about products that actually work. I use Paula's 5% AHA Smoother, her Retinol Booster, Brightener and her Primer. I find Paula's products effective and I love the detailed explanations regarding ingredients and skin care routines on her website. If a skin concern comes up there is a ton of information there to help with how to treat or fix it. At 69 years of age I have the usual "character lines" on my face but I swear by the AHA treatment. I can tell that the tone and texture of my skin are benefitting from it. Paula's Intensive Repair Cream is next on my list for night time use. Thank you so much for sharing your experience! :) One of the things that really impressed me was how informative the website is...they really go above and beyond to help you figure out which products you need to use. Also, I completely agree with you on the AHA treatment. The more I use it, the smoother my skin has become. I've used others in the past but this one seems to make more of a difference...it's wonderful!